This is Aaron “Bear” Mayfield’s story of how he found motivation from watching Fat, Sick & Nearly Dead . In fact, his friends showed him the documentary the same day I saw it for the first time last Sunday. That was a larger motivator for him to change his ways, even more than last October’s roller coaster incident he previously wrote about. 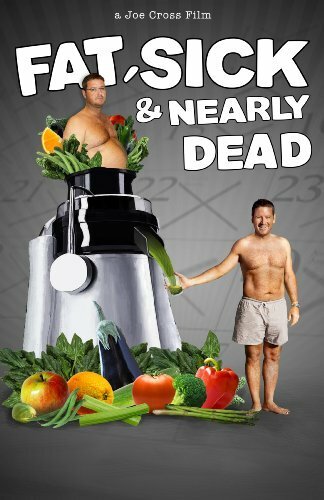 I am excited to see how Bear’s overall quality of life improves with the implementation of the juicing routing from the documentary, Fat, Sick & Nearly Dead . Damn, I fell off! I was doin so good. I dropped about 14 pounds exercising and eating right. I went to Cedar Point and got to ride all the coasters except for Millennium Force because I was still a bit big, but I got to ride the Maverick for the first time. I was so excited on cloud nine. A diet of salads, grilled chicken, fruits, and veggies…it was actually very good I had more energy and I felt better about myself, I truly did. Then it happened, my workout partner decided to stop because she was sick one day so I stopped for a day, one day turned into two, then a week, then next thing I know I’m eating double whoppers and fried chicken sandwiches. All that hard work for nothing, now I sit here writing this disgusted with myself and the road that led me here. Hell, I even stopped blogging because I was so ashamed. As of right now I weigh 295 pounds when I was down to 285. This has to stop! A few days ago I was at my friend’s house when he and his gf asked me to watch a documentary, I had heard of it before because one of my favorite rappers talks about it. So I sat down last week and watched Fat, Sick & Nearly Dead . What a game changer! The story of Joe and Phil has motivated me! If you haven’t watched it, I beg you to please do it. This is but a short article, but based on this movie I’m actually purchasing a juicer on Wednesday to start my 14 day juice reboot hopefully. So welcome to my journey in juicing and healthy living along with exercising. I will be updating with word, video blogs and pics; including a before pic and updated pics as well. This is gonna be a rough journey, but one that will have healthier rewards along with exercise and hard work. If I want to live to see 35, it’s something that must be done. I assure you that I will write more, but this is mostly just an introduction well rather a re-introduction to a commitment.